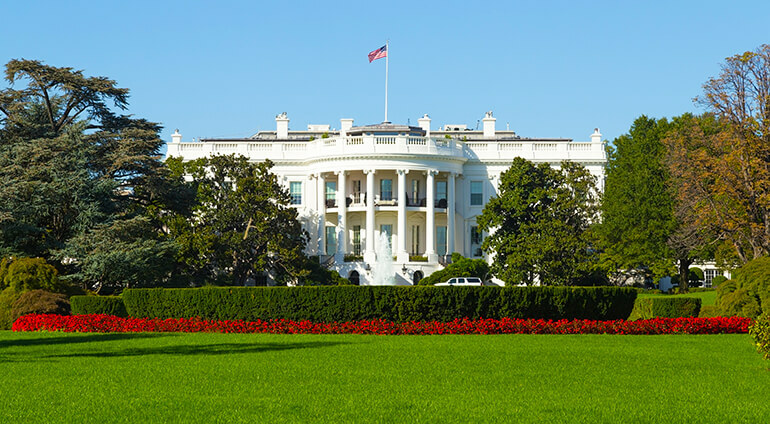 The White House is arguably Washington’s most famous landmark, but if you are hoping to take a look inside, advance booking is essential. Non-Americans can apply through the US consulate in their home country or through their country’s consulate in DC and this should be done between six months and 21 days before you plan to visit. Alternatively, The White House Visitor Centre has some great displays and you can get excellent views of the building’s exterior from various spots close by. Many of Washington’s other main monuments are situated in the huge park space of The National Mall. This green area at the heart of the city is where you’ll find the iconic Lincoln Memorial, with Abraham Lincoln’s imposing statue and surrounding columns looking out across the reflecting pool beneath. As well as featuring inscriptions from Lincoln’s famous speeches, the steps were the location for Martin Luther King’s famous ‘I Have a Dream’ address. The National Mall’s other great draws include Capitol, where Congress have met to write American law since 1800, the 555ft Washington Monument and war memorials honouring veterans from World War II and the Vietnam and Korean wars. It’s also home to several impressive museums which form part of the Smithsonian Institution, including The National Air and Space Museum, The National Museum of Natural History and The National Museum of American History, as well as the National Gallery of Art. Just to the south of the National Mall is another of Washington’s must-see museums, the United States Holocaust Memorial Museum. This collection of moving exhibits offers a harrowing insight into the lives of victims, from ghettos to death camps. To the northwest of the city is its oldest and most quintessentially DC neighbourhood, Georgetown. Here the main drag of M Street is lined with restaurants and bars housed in impressive 200 year old buildings, while the historic C&O canal runs parallel to the south along the Potomac River.